When Social Media goes awry! We had originally put this page together to show some support to the social media team in their endeavours to deal with customer complaints. However, over recent months, possibly since Autumn 2014, things have taken a turn for the worse! Nowadays the social media approach is closer to deflecting complaints as quickly as possible, and if the wrong thing is said, you risk a blocking! That’s just not cricket! Have you been blocked? If so, do let us know! 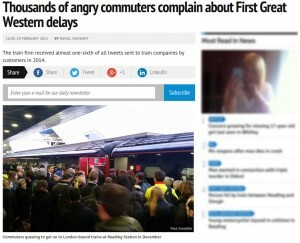 And keep your complaints coming with #fgw and directly to [email protected]! From here on in, unfortunately we’ll only be logging the negative stuff! 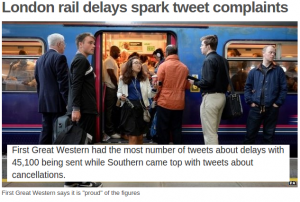 Sorry First Great Western Social Media team! That’s not how social media works, and it’s certainly poor customer service! One this is for sure, we’ll probably see much less of this! Block your customers, watch the complaints fall! @FGW You've blocked @fgwkmc? Wow, that beats @NationalRail_PAD blocking me. Top customer service guys. Please don’t drop the C, F, or J bombs over twitter, as that’s an easy target for blocking! 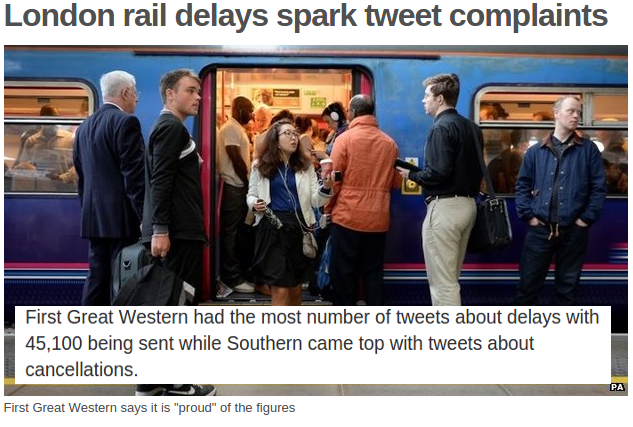 @Judesgotthelove @FGW @Independent @fgwkmc Seemed to happen when some of us asked questions about whether NWR compensation money went. @fgw what has the 18:00 London to Bristol decided to stop in between Didcot and Swindon? Pathetic service again. Oh I'm blocked! Oh balls! @OOTDbyRosie @GWRHelp Yes, I'm blocked. Looks like asking too many difficult questions gets you blocked. Something to hide @GWRUK ? @GWRHelp @hopwood_mark Why not just block everyone who calls you to account? That would leave plenty of space for more lobster stories….